As several people are finding out , I was not at the Golden Gloves for the first 10 matches on Saturday March 9th.. Before I headed to Cicero Stadium that night I was at 115 Bourbon Street in Merrionette Park for the Annual fundraiser for the St. Baldricks Foundation hosted by John and Trish O'Sullivan. That night Kyle Wolff Photography filled in for me and as always did I amazing job, Kyle can be reached at wolff.kyle@gmail.com or 630-669 3895 for information regarding obtaining files for that night. 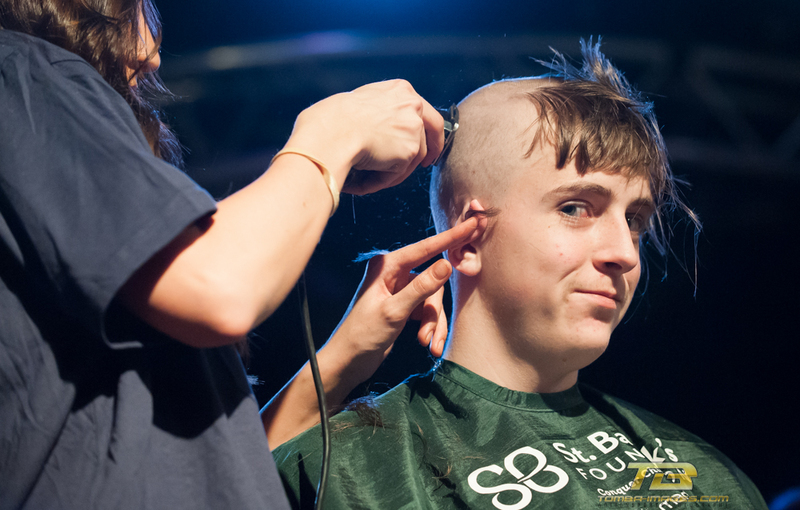 In regards to the St. Baldricks " Fight for Cure 2013" event , it was as it was in the past years, a amazing fun event. There was boxing, Head Shaving , buffet, music and open bar..it had it all. Please consider making a donation to this Pediatric Cancer Research group..If you do let me know so I can discount any of your Tomba Golden Glove purchases. Cheers .......Next year check out St. Baldricks Foundation's event at Bourbon Street , its a great time and a great time ..